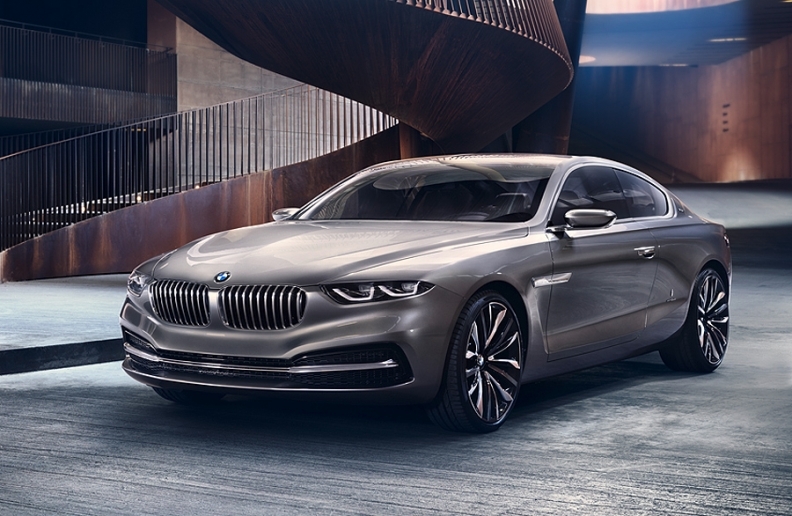 BMW's 9 series will have styling cues from the BMW Pininfarina Gran Lusso Coupe, shown, unveiled at the 2013 Villa d'Este Concours d'Elegance. BMW will preview its upcoming 9-series sedan with a concept car at the Beijing auto show, according to German magazine Auto Motor und Sport. The extra-long-wheelbase 9 series will take on the 2015 Mercedes-Benz S600 Maybach, which itself is production ready and is set to debut in a matter of months. The 9 series will be positioned alongside the Rolls-Royce Ghost in BMW's global lineup, and is expected to feature packaging and interior appointments similar to that of the S600 Maybach while building upon the design language recently seen in the BMW Pininfarina Gran Lusso Coupe, unveiled at the 2013 Villa d'Este Concours d'Elegance in Italy last May. The 9 series will be based upon a new lightweight modular platform codenamed G11, which will be shared with a number of upcoming BMW and Rolls-Royce models. The new platform is expected to offer considerable weight savings, reducing the weight of the next-generation 7 series down to the weight of the current 5 series. The G11-based 7 series and 9 series are both expected to go on sale in 2016. BMW has been without a halo sedan since the departure of the 1995-2000 E38 BMW L7, an extra-long-wheelbase luxury car based on the 7 series. The L7 featured a short inserted section from the B-pillar and backwards, giving the rear seat passenger more legroom and an optional powered partition window between the front and rear seats. The 2001 BMW 7 series was not available in this version, though that didn't stop a number of coachbuilders and armorers like ArmorTech and Transeco Bremen from offering something similar. The current F01-generation 7 series has not raised the stakes beyond what was offered in the 2001-2008 E65 in terms of interior space, and is available in standard and long-wheelbase only.